Connect, explore and play in Banff’s MountainLIFE programs. MountainLIFE is designed for adults aged 30 and up that want to connect with their peers, get outdoors and enjoy mountain life to the fullest. To register for MountainLIFE programs, visit banff.ca/register. Learn about safe travel techniques on glaciers. Topics include roping up for the glacier, route-finding, leadership in the mountains, and crevasse rescue techniques. Participants should have some previous outdoor hiking and scrambling experience. Registration deadline is June 11. For ages 30+. 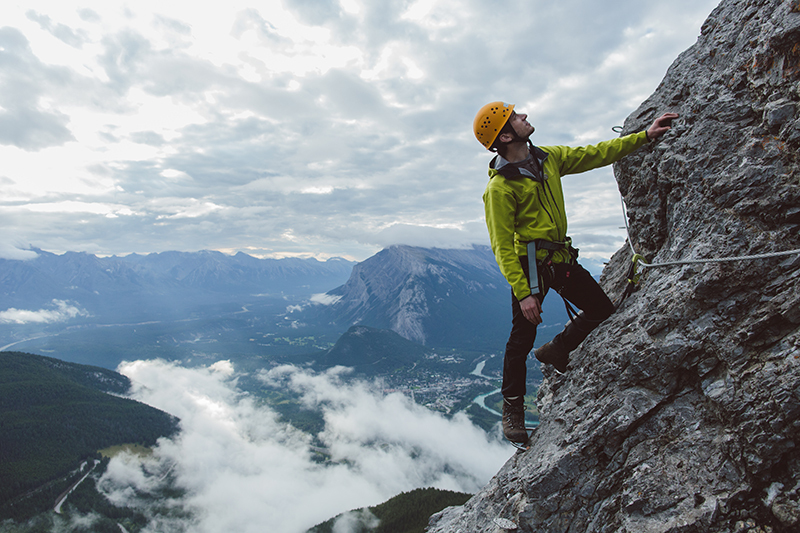 Head out to one of the local climbing areas and learn how to climb in the Rocky Mountains. No experience necessary. Registration required 14 days before start of program. For ages 30+. Traverse the north end of the Wapta Icefield and stay overnight in the Whyte Hut along the way. This two-day trip is a great introduction to mountaineering techniques. Participants should have previous backpacking experience. Registration deadline is August 23. For ages 30+. Italian for “iron road,” via ferrata is an easy way to safely explore the mountains. A guide will lead you along and up the 180m rock face while you’re attached to the iron cable and bolts fixed into the side of a mountain. This trip is a fun way to try out climbing. No previous experience required. Registration deadline is May 21 for the June 4 session, and June 4 for the June 18 session. For ages 30+.